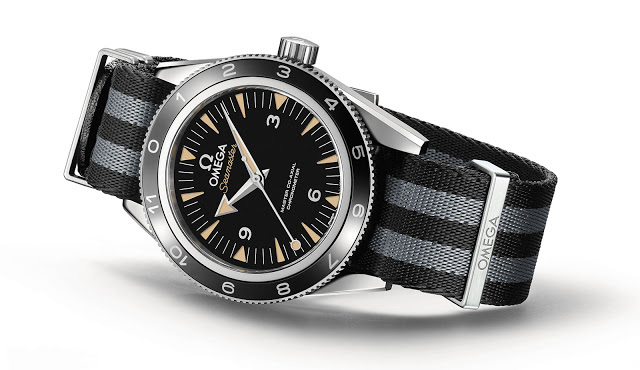 James Bond’s watch supplier since GoldenEye in 1995, Omega has just announced the Seamaster 300 SPECTRE limited edition. 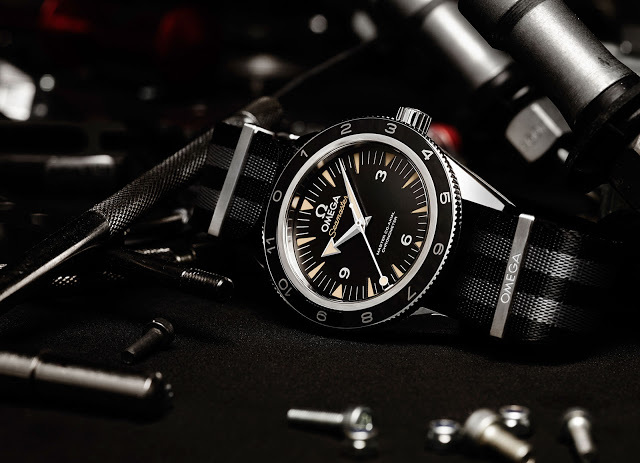 A variant of the Seamaster 300 with minor tweaks that will appeal to traditionalists, the Seamaster 300 SPECTRE will also be on Daniel Craig’s wrist in the upcoming movie, making it the first time that the wristwatch used in the film is also available for sale. In earlier films, the watch worn by James Bond was slightly different from what was available to the public. 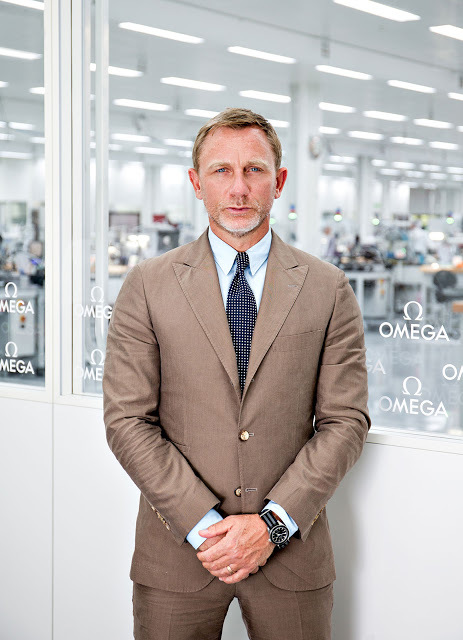 The Seamaster Planet Ocean Skyfall limited edition for instance was steel, while Craig wore a one-off titanium Planet Ocean that was later auctioned for charity. 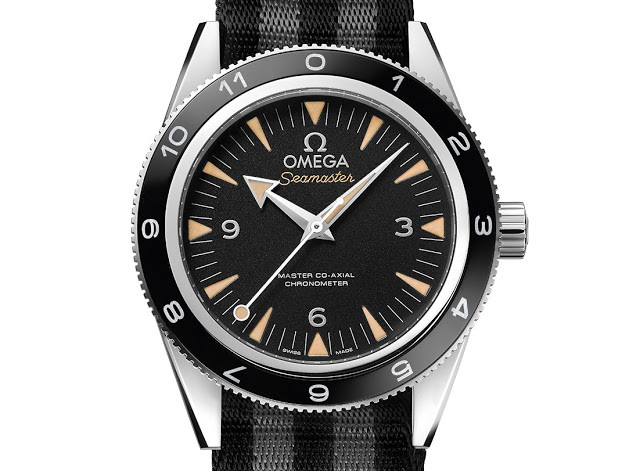 When SPECTRE hits the big screen on November 6 (trailer at bottom), Craig will be wearing the Seamaster 300 SPECTRE. Three differences distinguish this from the regular production model. One is the ceramic bezel insert with a 12-hour scale that can track a second time zone, instead of an elapsed minute bezel. And the other is the “lollipop” seconds hand, named after its circular tip. A feature found on the earliest variants of the vintage Seamaster 300, the lollipop was later replaced by an arrow-shaped seconds hand, which is also found on the regular production model. Less obviously, an enlarged Omega logo replaces the “12” marker. In addition to the steel bracelet, the Seamaster 300 SPECTRE is also delivered with a NATO strap in grey and black stripe, similar to the colours of the band on Sean Connery’s Rolex in Dr No, first James Bond film. The buckle of the NATO strap is engraved with “007”. The rest of the watch is identical to the ordinary Seamaster 300: 41mm steel case with the Master Co-Axial calibre 8400 inside. Like the other Master Co-Axial movements, it has the silicon Si14 hairspring and magnetism resistance of over 15,000 Gauss. Because the magnetism resistance is due to materials rather than a soft iron shielding, the movement can be seen through the sapphire back. 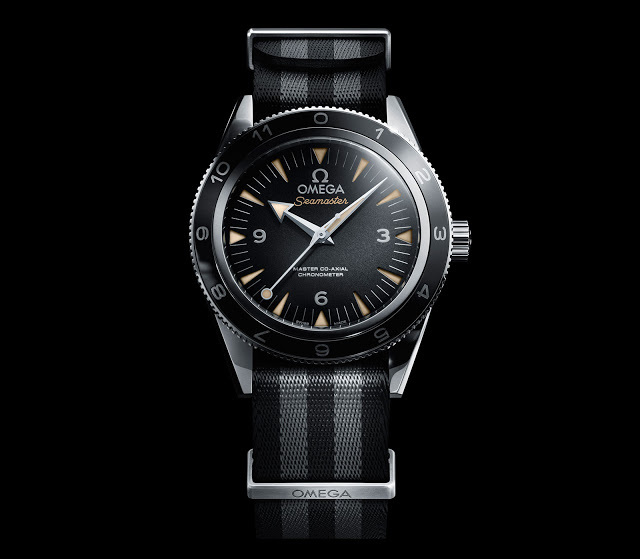 Notably, this is the second limited edition Omega has made for SPECTRE, the first being the Aqua Terra limited edition unveiled earlier this year to get the fire going before the film opens. The Seamaster 300 SPECTRE is priced at SFr6300 or S$9800. This will hit stores in September. Addendum August 17, 2015: Added price and technical specs.